November 2017. Vol. 44, No 10.
have participated and enjoyed this colourful and delightful season. our bay have really delighted the weather shooters amongst us. VAPS convention in May 2018 and plan now to attend it. My best to all of you and keep shooting! An enjoyable side of Photography is the "taking of the photograph". There is no need to explain why. We have all experienced it. Another side of Photography is the processing of images. It has always been done. In the days of film, it was done by you or you took your film roll to the Chemist and received back your negatives and prints. 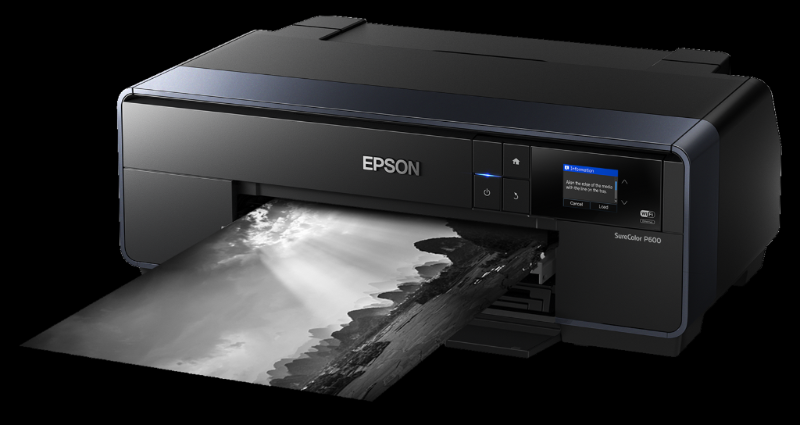 You may have shot in black and white and printed at home with an enlarger after processing the film with developer and fixer. I certainly did this. In a way, I feel sorry for the age group that has grown up entirely in the digital age and not experienced the joy of seeing that image emerge slowly in the developing tray. Then you experimented with the various grades of printing paper for various contrast levels. Wow! Now, we have computers and software to do that. Some of us don't like this and prefer JPEG images straight out of the camera. We sometimes forget that the camera company produces the JPEG for us. They decide the amount of contrast. They choose the saturation and a bunch of other things. The files have been processed. You can alter this in selected cameras. You hear people say, "That camera produces a great image." What do they mean? They mean that they are pleased with the processing the software engineers at the camera company have decided to do to the data from the sensor. The data has been processed. Then there are others that shoot RAW files and use a "RAW processing engine" to determine the contrast, colour, tones and a multitude of other things. There seems to be a great number of "RAW engines" out there. A lot of us use the "RAW engine" from Adobe. This engine is in Lightroom and Camera RAW. 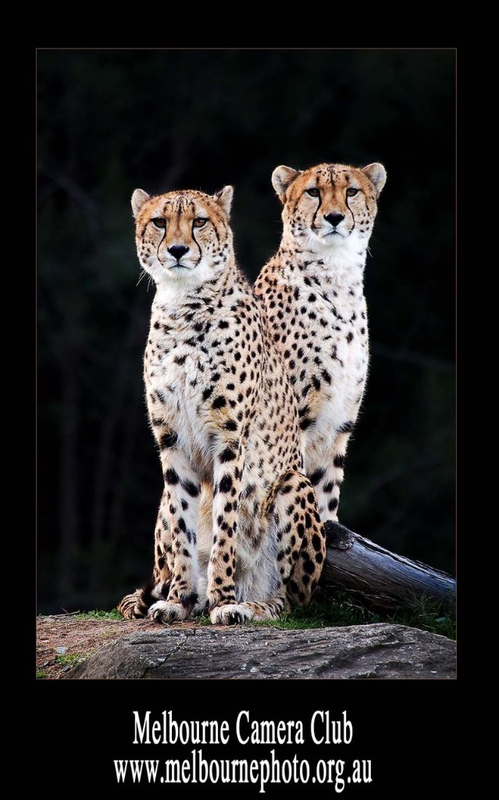 We are control-freaks and do not let the software engineers do the processing for us. We spend hours at the computer getting the final product the way WE like it for printing or viewing. 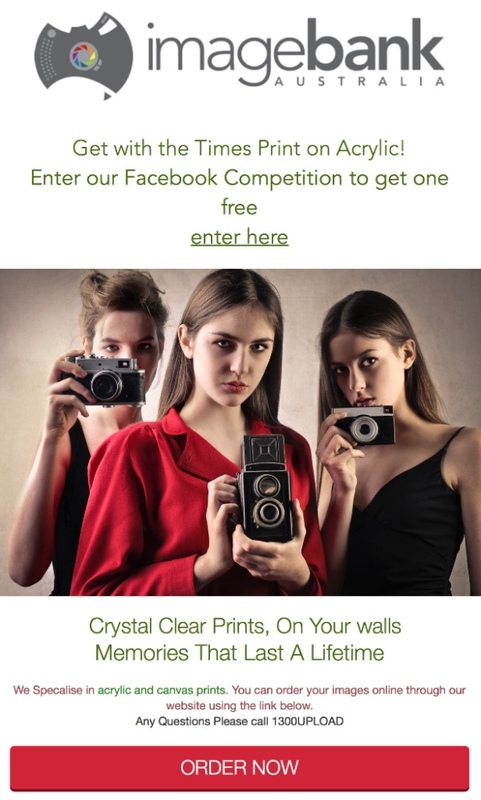 Now we have software like, Lightroom Classic CC, Lightroom CC, Photoshop and ON1 Photo Raw, Aurora HDR, Affinity Photo, Tonality, Luminar, Topaz Labs, to mention a few. There is so much choice. I am stunned, at the moment, at the plethora of new choices we have. The learning curve for these packages can be great. I do notice, however, the emphasis on "presets" within a lot of these packages. What effect is that having on the way we process (or will process) our images? Can anyone tell if we have spent 90 minutes processing an image versus one second with a press of a button to choose a preset we think matches what we saw when we took the photograph? Does it matter? Within our club competitions, are judges able to judge the process, or does that not matter? Have you noticed the links between processing on a desktop and that on mobile devices? Have you noticed how smartphone cameras are integrated with mobile device software, cloud storage and onto our desktop computer? Have a look and the new Lightroom CC. Have a look at Lightroom on a mobile device and smartphone. Are you aware that you can shoot RAW images on your smartphones? Will you start using your phone more for taking photographs? What will the teenagers of today choose? Are our camera clubs thinking about the implications, of this, on the way we support our members in photography? Are we starting to cater for new technology? Do we need to cater for new technology? Are we interesting in the next technology? Do we need to cater for the newest technology to encourage new members to our clubs? There are so many questions and challenges associated with the continuing changes occurring at the moment. I love it. Do you? Good luck to all our clubs as we prepare for 2018 syllabi and calendars. What are you including that is different? Do you need to be different? Parking in the streets not in the Church Grounds. Meeting time is 9.30 am. Note the change from the usual 1.30 pm. There are other meetings after the VAPS meeting. 2018 Affiliation forms, AGM Proxy forms, and 2018 Committee forms are available on the website. Monitor this on the website. Links are below. We all get much out of photography and participating in the activities of our clubs. We also enjoy extending that network of friends when we have inter-club competitions and visit clubs for judging. Give some serious thought to putting back "a little something". 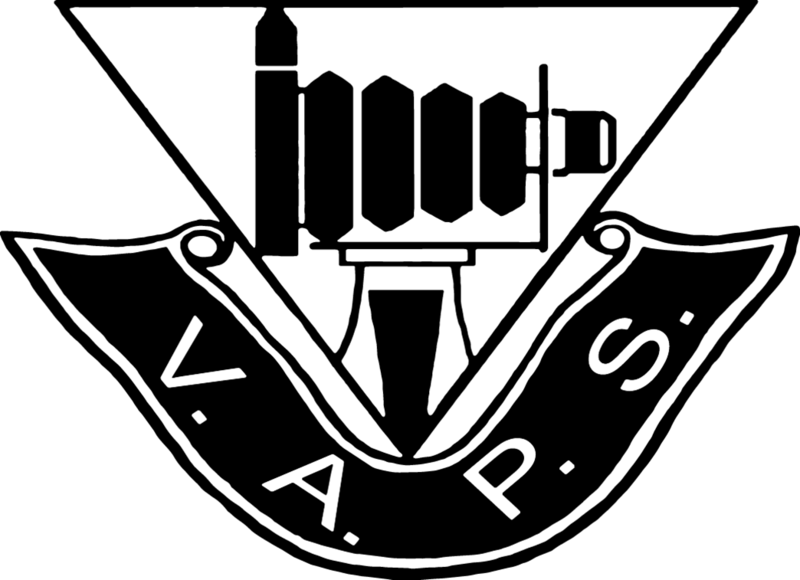 Nominate for the VAPS committee. Meet new people and have your input on the ways VAPS can support the affiliated clubs. Committee meetings are held on a Sundays, when appropriate, throughout the year. The nomination forms are below. Note we encourage you to complete the Club Affiliation form, and arrange signatures and bring to the meeting together with payment (preferably by online bank transfer) as this saves postage and later effort at your end! It appeared to be a controversial even radical step by the Audio Visual traditionalists when APS announced less than two years ago the introduced a 5th AV category 'Fusion' specifically allowing video "…The sequence will portray any subject, story or theme through the use of still images and video. The video content must not be more than 20% of the duration of the whole sequence. Any combination of text, narration, music and sound effects may be used…"
Video allowance in AV rules has been a hot topic for discussion especially since high-quality video has now been a standard function available in most DSLR and even point and shoot digital cameras for several years. The current VAPS AV Committee produced a discussion paper early in 2017 with one of the major possibilities being a rule change to allow a maximum 20% percent of Video in Interclub Open Audio Visual competition. 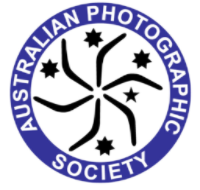 Now the AV Division of the Australian Photographic Society (APS) has just announced a more radical change for the inclusion of a 20% maximum Video in all their 4 remaining AV competition categories and the removal of the 'Fusion' 5th category. 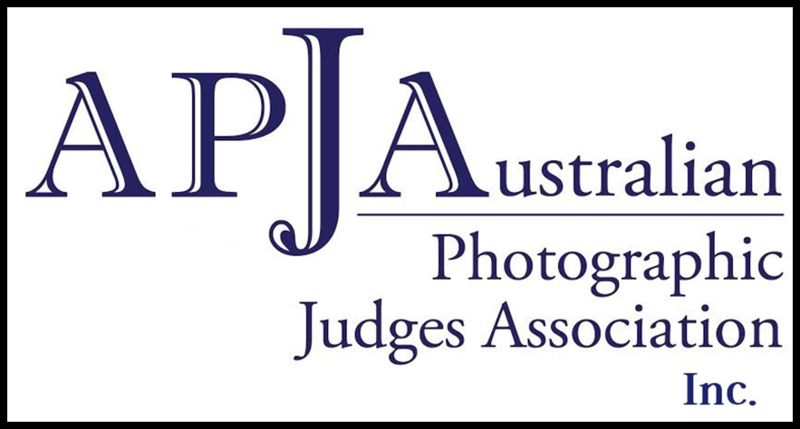 There has been a category change to the APS Autumn AV National and the Spring AV National competitions. There now will be 4 categories instead of 5. The category, Fusion, has been removed. 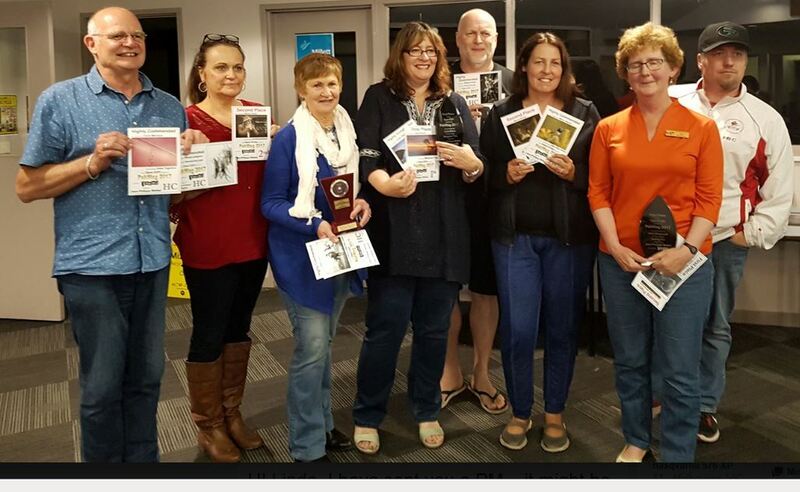 So, the other categories are - Documentary, Theme, Poetry & Song, Photo Harmony. Video content will now be allowed in all categories with a limit of not being more than 20% of the total duration of the sequence. These changes will take place in 2018…." Importantly one of the criteria given to the Audio Visual Committee by VAPS Management required consideration "…..Wherever both possible and practicable, the VAPS rules should be compatible with current practices in other jurisdictions, particularly APS…." Hence the recent 'video' changes to APS National AV competition rules are required to be evaluated for impact and suitability for the VAPS interclub. It could be reasonably expected that the maximum 20% video allowance would also be recommended for inclusion in both Open and 321 Interclub Audio Visual sections for the VAPS 2018 Interclub competition year. The VAPS AV Committee recommends rule changes (stage 2 report) can be anticipated to be presented at the November 19th VAPS AGM. Want to have your say on this or any of the other matters in the AV Discussion paper then eMail your comments, questions and issues. 1. Public Liability increased to $20 million. For a Club to be fully covered under our PL insurance all visitors to club meetings, and including guests or partners and friends participating in a club event, outing or excursion must be signed in as temporary members. It should be noted that it is the Club that is covered and not individual members. To $250,000 legal liability for damage to rented premises, members' property damaged whilst in the rooms, or any other property in clubs care, i.e. where there has been negligence by the club that caused the loss. Includes members, guests and visitors to the club with respect to claims against them by any other member, guest or visitor arising in connection with the activities of the club, i.e. where a member injures another member unintentionally. NB Clubs must maintain a visitors' register. Age restrictions lifted on Volunteers Insurance. Volunteers must be capable of performing the allotted tasks. Cover extends from time departing home to return home for volunteers performing club duties. (Directors and Officers Liability cover) covers club committees where they may be sued by members or other parties. In the event that a club has a potential claim, the Club Committee must meet and minute any such situation that may cause a claim to be raised, including all details and witnesses where possible. This information must be advised to the VAPS Secretary immediately and directly. Any queries regarding the VAPS insurance cover must also only be made to the VAPS Secretary. This has been the biggest year so far for the APJA since its formation a couple of years ago. The committee has facilitated seven General meetings with speakers, talking mostly about issues in relation to Image Evaluation, these are held each month or so. APJA also presented at the VAPS Convention as well as APSCON. Level 2, (Intern), 3 (Licentiate) and 4 (Associate) at Caulfield. This is a big task, advertising, booking venues, booking speakers, managing registrations, catering, setting up the venue, and managing each event. It is also expensive. By the time money is allocated for things such as printing, rent, catering and payments to presenters, it usually runs around $800 + per event. Some funding has come from VAPS, but the vast majority of it comes out of the Judge's pockets. But it is important. The number of clubs is growing, but at the same time, volunteer judges are getting thinner on the ground. Some have been volunteering for more than 20 years and are moving into judge retirement. In the coming years, the task for club secretaries and image stewards to get judges is going to become more and more difficult unless we plan ahead. It is even a bigger problem for country clubs. APJA is looking at ways to help training in country areas without the high cost of travel. For those of you that are not aware, here are some of the topics covered in the training. It is still a work in progress, and it is probably not going to be possible to facilitate more than four training events in a year, purely because of limited person power, and resources. Basic Judging, Judging Styles, Emotion in Images, Public Speaking, Aesthetics vs technical, Practical judging, What Judges look for, Critique techniques and how to score images, Depth in Images, Judging variety and different Genres, Cold Judging, Why have images judged, Judging Photojournalism, Judging Portraits, Judging Monochrome, Judging Creative, Judging Wildlife and Nature, Advanced Aesthetics, Evaluating AVs, Judging Open Competitions, and Judging Abstract. There will be more as we move to deliver Level 5 and Level 6 in 2018 and 2019. 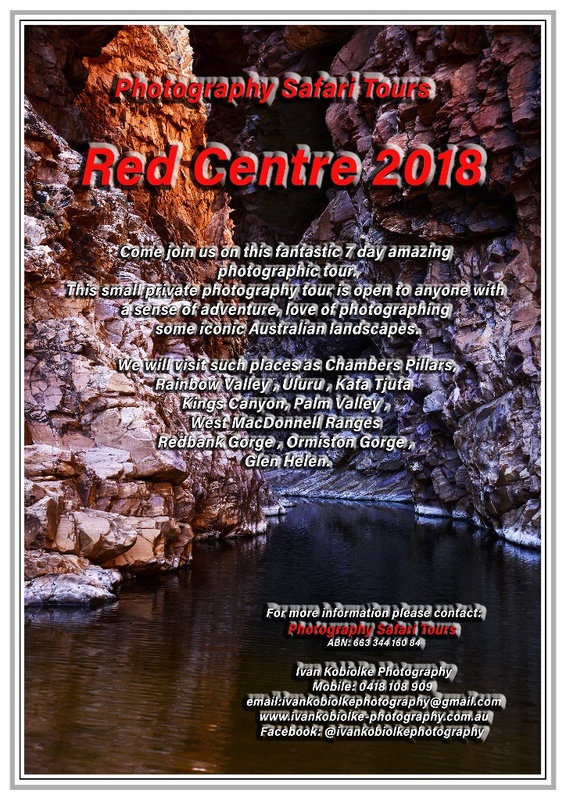 We have been lucky to have been able to secure some great presenters and Master Photographers, such as Richard White, David Harradine, Noel Butcher, Adrian Donahue, Adrian Smith, Ian Rolfe and David Burren. 2017 has been a great achievement for such a small committee and membership. In the coming years, it is hoped we will see the flow-on effect of this training for the benefit of VAPS. Join Maggie Finch, Curator of Photography at the NGV, to explore photography and the photographic print. 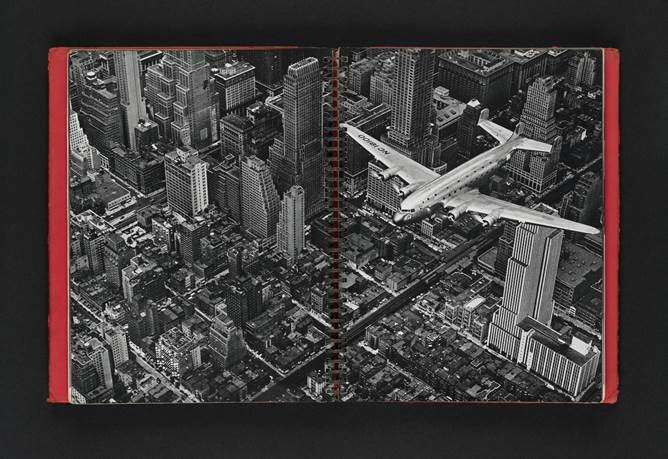 This course will focus on the history of the photobook as a format and offer opportunities to hear from conservation specialists and artists working in the medium of photography. Participants will have the opportunity to view and discuss rare publications and photographs, including early-20th-century artists Man Ray and Claude Cahun; modern Australian artists Max Dupain and Olive Cotton; conceptual photo-book artist Ed Ruscha and Jan Dibbets; and 1970s and '80s feminist artists Sue Ford and Carol Jerrems. Applications close Thursday 30 November. 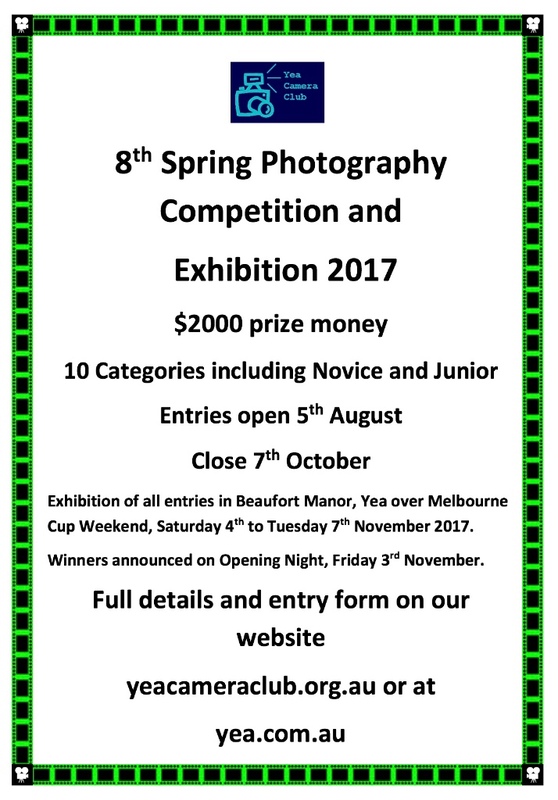 The Melbourne Camera Club is holding its Annual End of Year Exhibition at their heritage-listed building in South Melbourne on the weekends of the 2nd & 3rd and the 9th & 10th of December, 2017. 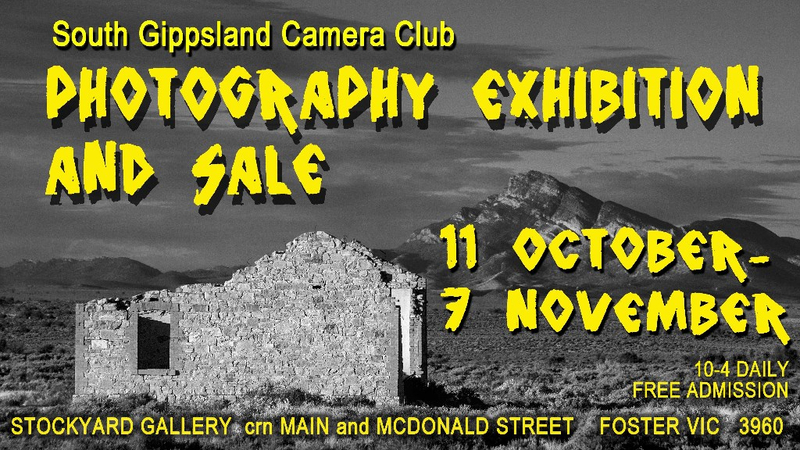 On display in the upstairs gallery will be prints depicting Landscape, Nature, Photojournalism, People, Creative and Open as well as Photo Essays and the Special Theme. Digital images will be projected downstairs in the studio along with Audio Visuals created by MCC members. The Special Theme for 2017 is Yarra River Activities. These images will later be exhibited at Michael's Camera, Video and Digital Gallery in Elizabeth Street, Melbourne from 16th December 2017 to 14th January 2018. The club is located on the corner of Ferrars and Dorcas Streets, South Melbourne and the exhibition will be open from 11:00am to 5:00pm on the two weekends. "A community initiative celebrating the magnificent red gum country of Cavendish and surrounds. The event will include activities for everyone; young, old and families- kicking off with the official launch, our Red Gum Festival Opening Gala. 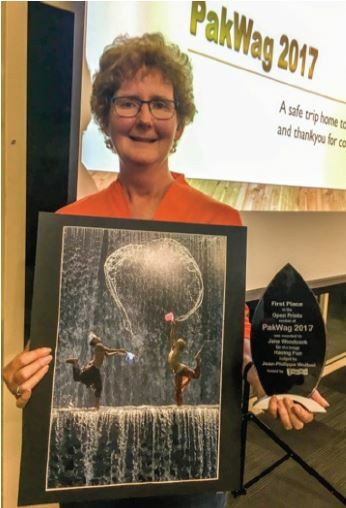 Other highlights will be the" Red Gum Run (or Ramble)" a 4.5km run/walk along the majestic Wannon River and an environmental symposium with guest speakers and displays. 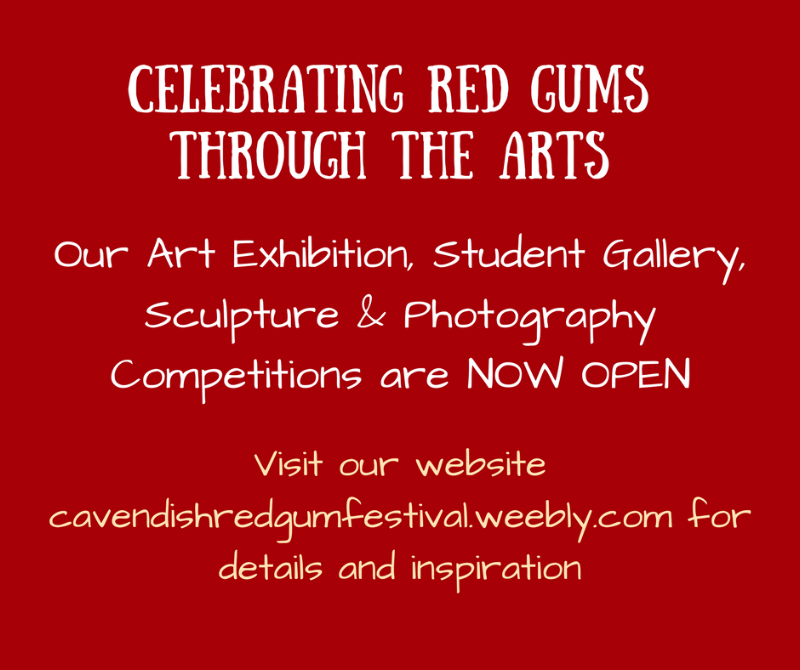 We invite sculptors, artists and photographers of all ages to celebrate our red gums by entering works in various exhibitions and competitions. Through visits and tours to significant local red gums in conjunction with live music, food, beverages, workshops, children's activities and various red gum vendors (honey, art, craft, furniture and other artisanal works) visitors to the festival will be able to enjoy, explore and learn about our unique local environment." Does your club have Interclub competitions? You're invited to send your highlights to be included in the Newsbrief, for the VAPS community. 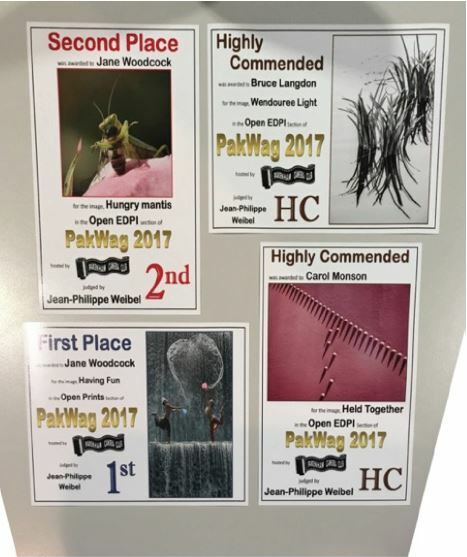 PakWag is an Interclub competition between Pakenham and Warragul. Lake Macqaurie National Exhibition of Digital Photography. FIAP has just released the information and entry form for their World Cup for Clubs event for 2017. 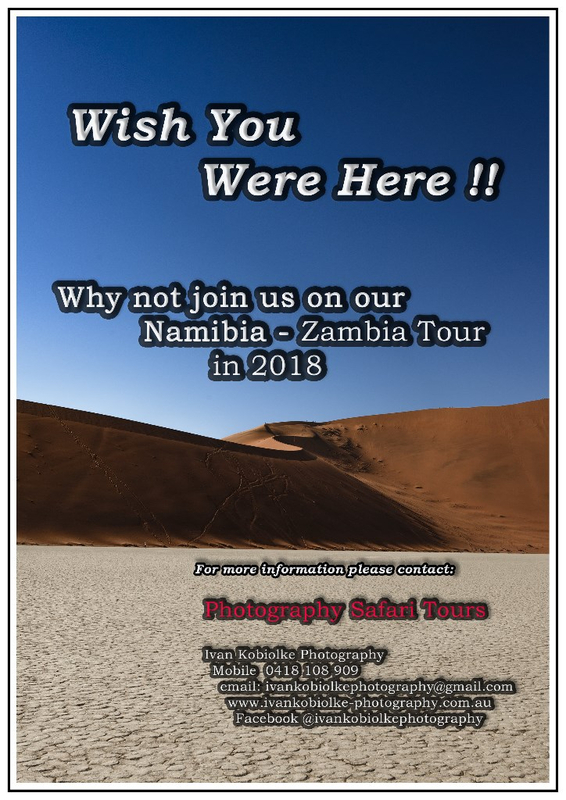 This is an event in which any camera club can participate. It is essentially a massive worldwide interclub competition. The Newcastle National is in its 36th year of competition and is run annually in conjunction with the Newcastle Show. This year marks the first time that the Exhibition will be conducted using a web based platform developed by MyPhotoClub. The Exhibition will remain a PRINTS ONLY exhibition, however the entry process this year will require the submission of a digital image of each print for recording and catalogue purposes. Newsbrief publication deadline 26 November 2017.